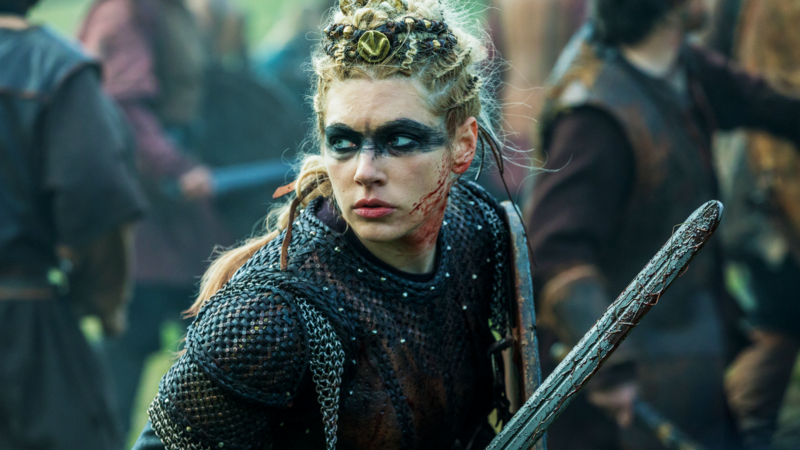 The second half of Vikings Season 5 is now streaming first and only on Showmax, with new episodes coming weekly every Thursday, express from the US. Here are six reasons you should be bingeing HISTORY’s breakthrough drama. As Africans, we should know better than to trust histories written by the victors. Vikings has 11 Emmy nominations, a 93% critics rating on Rotten Tomatoes, and an 8.6 rating on IMDB, where it’s listed as one of the Top Rated TV shows of all time. It’s not an act for Winnick either: in real life she’s a former bodyguard with black belts in both Taekwondo and Karate and has founded three martial arts schools. “We do battles very well, better than other shows,” says Hirst – not very modest but entirely true. Sadly, Ragnar Lothbrok, played by former Calvin Klein underwear model Travis Fimmel, is no more, but Season 5 has no shortage of heart-throbs, including Golden Globe winner Jonathan Rhys-Meyers (The Tudors), who joins the cast as Bishop Heahmund, a warrior bishop. If you’ve never watched Vikings, we recommend you start at the very beginning on Showmax, but Season 5 sees the show shift focus from Ragnar to his sons, so it also works as a place to start fresh.